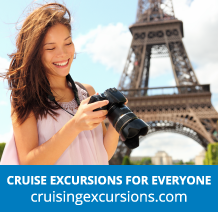 Cruising is something that can be enjoyed by people of all ages, and with these family cruises everyone will be catered for. With generously sized family cabins and entertainment for both young and older travellers, you can enjoy a once in a lifetime holiday together. And if you're looking for excellent value for money, our budget cruises could be the perfect place to start.